How much time do you think an information professional or knowledge worker spends on average per week looking for information, writing emails and collaborating internally? According to a recent study by McKinsey & Company in May of 2014, it's as high as 28 percent. That's roughly a little more than 1/4th of the workweek. Being able to improve worker productivity by making information accessible and well organized can help you regain 20 to 25% in value. By using online collaboration tools, you can increase and improve communication, trust, and productivity. Knowledge sharing is also a large part of building a company's competitive advantage. As of November of 2011, there are more than 1.5 billion social networking users worldwide, of which 80 percent interact regularly. This figure includes both business and personal use. Ninety percent of all companies using social technologies reported resulting business benefits. McKinsey says that most companies could double the current value they get from social tools by removing the hierarchies they've had online and creating an environment that is more open, direct, trusting and engaging. As it turns out, employees are the same online as they are off. They need to be enthusiastic about connecting, unafraid to share what they have to say, and eager to work through collaborative projects. People get excited about things that are … well ... exciting, engaging, honest, and interesting. 1. Embrace a natural tendency to socialize. 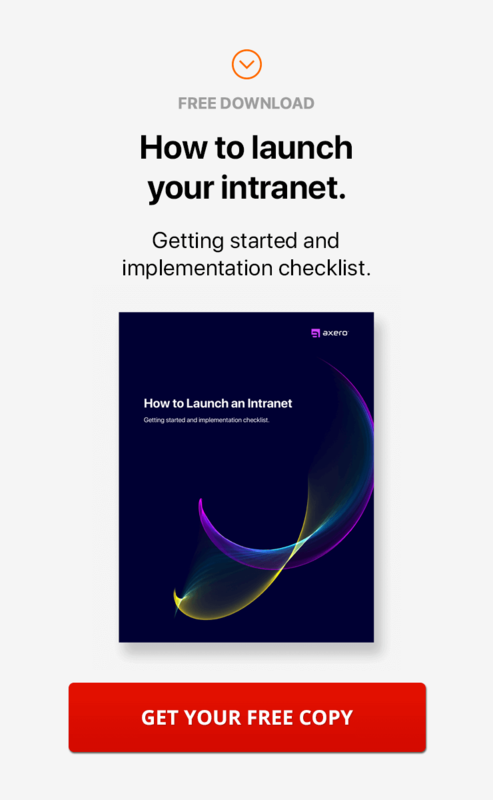 With social intranet software, businesses can tap into their workers' natural tendency by embracing technology that encourages knowledge sharing. 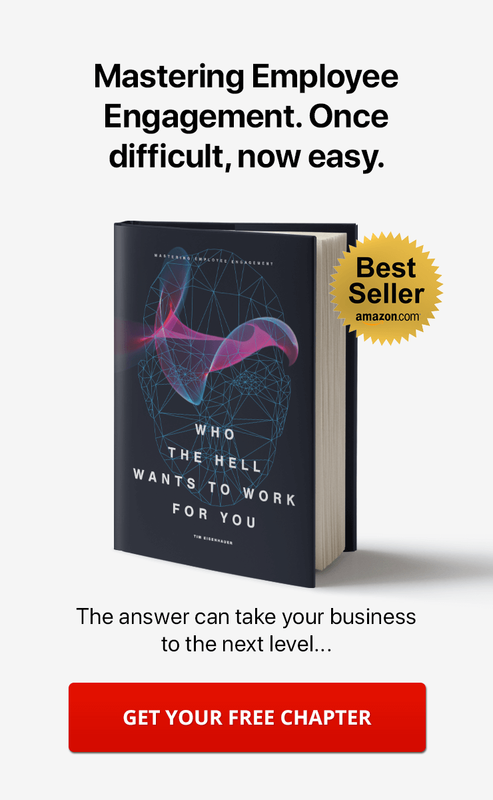 When employees have greater access to information, they're able to act more quickly and make better decisions with the right knowledge at hand. 2. Encourage dialogues instead of monologues. People expect interactivity as part of the online experience. This perspective shapes even the most traditional of work environments, as employees have become increasingly mobile and social. Instead of just being spectators, employees want to engage. As a company leader looking to encourage employee collaboration and intranet knowledge sharing, consider what conditions you have created or exist in your company. Does your company foster dialogue, or is your office a stage for monologues? How can you create an environment that inspires synergy and sharing? 3. Use collaboration instead of hierarchy. Instead of having the boss expound on his philosophy for hours, encourage an atmosphere of group communication. Allow for improvisation, and remember that true organizational change has to occur at every level. This means leading by example and encouraging co-creating and sharing. 4. Ask for feedback and questions. One of the best ways to get employees to exchange insight and share knowledge is to seek feedback and ask questions. Ask employees for help, and solicit their opinions and expertise. Share projects you're working on, and tell people what you're doing and why. Seek your team's feedback and advice. Invite others to work with you, even if it is a small contribution. Share your own information and tell people what you plan to do before doing it. Ask people how they would do it differently. Encourage open sharing through your own example. Social intranet software can unlock insight from consumers directly through feedback and behavioral data, which employees can then access to generate new ideas that engage customers. 6. Locate information and receive employee insight. 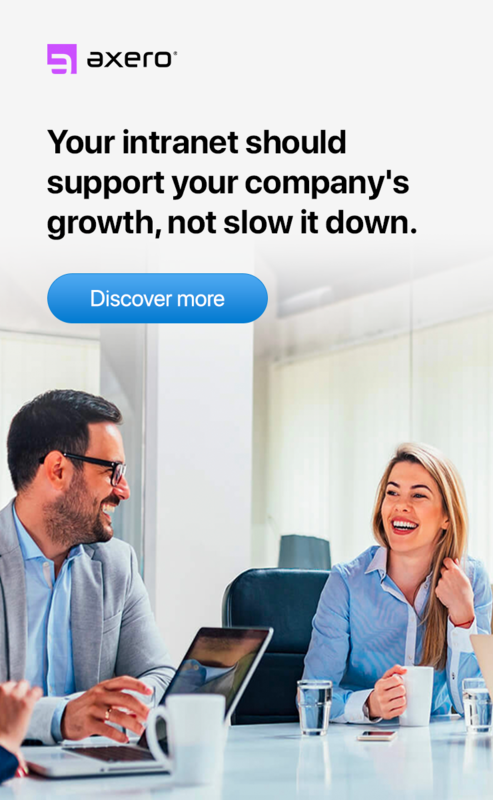 When you bring together employees and management to work within a centralized platform, like digital workplace software, you enable immediate access to and sharing of knowledge and information. Staff can quickly locate colleagues to source the insight needed for projects and decisions. 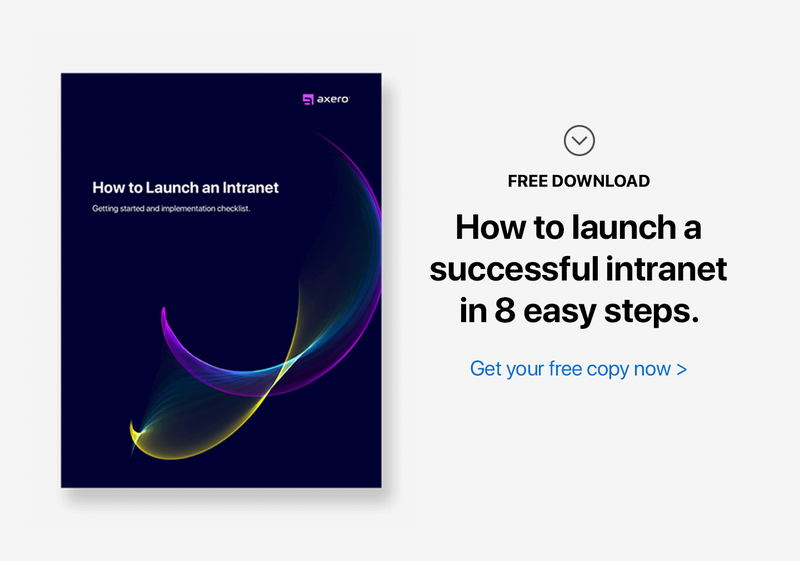 Using the intranet ideation feature of social intranet software, companies can crowdsource product ideas, identify potential challenges, and develop solutions in an intuitive, user-friendly forum. 8. Establish immediate communication and sharing. From managing procurement to logistics, social intranet software allows for instant communication between individuals, vendors and branches of a company within B2B supply chains. This accelerates the flow of information, intranet knowledge sharing, and improves business processes. So how do you get employees to share their knowledge? Simple. Add knowledge management software for your business, enabling your employees to access information from a centralized location. Empower your staff by removing silos and encouraging collaboration. Enhance the productivity of your knowledge workers by streamlining communication. As barriers are removed, your employees can connect with colleagues to share knowledge and expertise. 9. Encourage a change in mindset. Successful change in an organization such as removing information silos and encouraging intranet knowledge sharing among employees also requires a change in mindset. This happens through influence. Align your systems and structures – Your company's leadership can implement change by aligning organizational structures and processes to support the new corporate vision. Set performance goals for individuals and for the organization as a whole, and then motivate your team to fulfill your organizational vision. Model desired behaviors and roles - Model change by setting examples of desired behaviors in day-to-day interactions, enlisting help from influential stakeholders to shape behaviors, and ensuring that teams' work and interactions are in line with the changes. Help your employees build and grow their capabilities - Develop talent and skills by evaluating the performance of key staff, reducing attrition of high-performing individuals, and offering a range of development and training opportunities that will cultivate the new skills employees need to attain your vision. This can all be done through an employee intranet. Make sure you have commitment and understanding - Companies can develop understanding and commitment by making sure employees know why changes need to happen and how they will be supported, and keeping track of progress so it aligns with the company's overall mission and employees' daily work. 10. Use intrinsic motivation and autonomy. Employees are also intrinsically motivated to share knowledge when they find their work interesting, stimulating, and enjoyable. The more an employee is intrinsically motivated, the more he or she will be to share and receive knowledge. Staff who also have some autonomy in their work are more likely to feel enthusiastic about their work and are willing to share knowledge and insight about their endeavors. Instead of driving motivation through external feedback—which can leave workers feeling manipulated or controlled—inspire your team by encouraging autonomy. Areas such as scheduling, decision making, and process management provide excellent opportunities for developing a confident, engaged team. Employees are more likely to share information and grow a company's productivity and competitive advantage when they feel heard, have access to the knowledge and resources they need, and have a positive environment with leaders who are committed to collaboration.